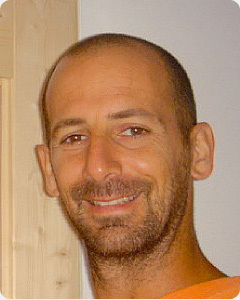 David Lutt is a licensed osteopath combining his expertise and love of osteopathy, Thai-yoga massage and zen shiatsu. He is the co-founder of Osteothai and initiator of Dynamic Thai Massage. He is also titular of a University degree in “Philosophy of Osteopathy” (UCLY, Université Catholique de Lyon). He’s spent 4 years living in Asia (India and Thailand) immersing himself in yoga, shiatsu, Vipassana meditation and traditional Thai massage. In Thailand, he studied mainly under Asokananda and Ajahn Chaiyuth Priyasith, who was and is still his real inspiration. David has opened his own Thai Massage and Osteothai school, Lulyani, in Provence in the south of France. He also travels through Europe, Thailand and Japan to give courses. – increase his/her therapeutic toolbox to become more precise and efficient.